As lovers of the sun, here at J-Tech, we enjoy educating the public on solar phenomenons to look for from your own front door. 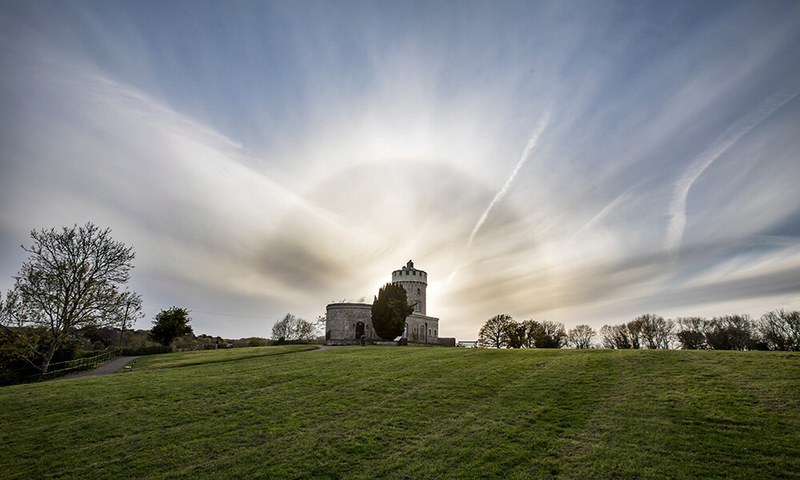 This week we’re talking about a rare occurrence often referred to as a “solar halo,” examples of which are being spotted more often in areas all over the world. These angelic views are beautiful pheromones, and can happen at any point around the world. Halos occur when light encircles the sun or moon, and often happen when a thin layer of cirrus clouds (thin and wispy) are present. Depending on the specifics of the occurrence, sometimes the halos appear colorful like a rainbow, while other times the halos appear like circles of white light. While the science behind the occurrence is slightly complex, involving chemistry, physics, and geometry, the appearance is quite simple as it’s often a single or double ring. The Earth’s atmosphere is a mixture of many gases, such as oxygen, nitrogen, and water vapor. When at high altitudes, water vapor condenses and freezes into ice crystals. If light hits these ice crystals at the proper angles, the geometry of the crystals causes the sunlight to refract. When this happens, the light passes through a prism. Randomly-oriented hexagonal ice crystals with diameters less than 20.5 micrometers specifically cause the 22 degree halo effect in the sky. With further study, it becomes apparent how specific the mathematics must be in order for this phenomenon to occur. Due to the complexity of the science and specificity of the measurements, when this halo occurs, it’s even more astonishing than viewers who appreciate the true wonder of the sight may know! In April of 2018, Northeast Kansas was able to enjoy a beautiful solar halo. What was special about this occurrence was not only that the halo was present, but that the halo was a perfect 22 degrees. When halos are 22 degrees, they’re considered of perfect measurement and pristine science. 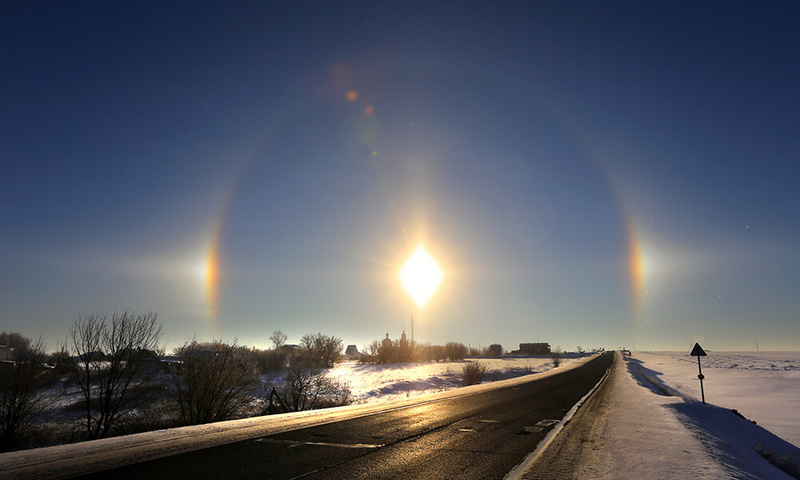 In Kansas, they enjoyed a full halo around the entire sun in midday sunlight. This is special because, while halos are beautiful no matter what extent, these fully enclosed halos are slightly more rare since they require the perfect mixture of crystallized water vapor, sunlight, and flawless geometry. If you love the sun as much as we do, you’re most likely eager to see a solar halo with your own eyes. Unfortunately, there truly is no way to predict when these beautiful visions will occur. The best way to see a halo for yourself is to keep an eye towards the sky (while maintaining proper protection for your eyes) and be ready to spot a halo at any point. For more information on the sun and how you can benefit from its powerful rays, visit our website today to learn more about how we can help you. It’s time to not only marvel at the suns beauty and visual phenomenons, but benefit from the solar energy it can provide for us.